In the region, Japanese anime, or cartoons, have been popular for generations, with the artform gaining the peak of its popularity in Saudi Arabia during the early 80s and 90s when the local channel aired anime series dubbed in Arabic such as Captain Tsabusa, Grendizer, and Lady Lynn. So, it perhaps comes as no surprise that Saudi artist Samah Hashim Kamil fell in love with anime and manga (comics) when she was just a little child. In the early 2000s, anime based on popular manga books started becoming even more popular amongst Saudi youth, creating a high demand for not just the cartoons, but the accompanying merchandise as well. As Kamil explained in a recent interview with Gulf News, the artform took off during that period and has since then become “nothing short of an addiction among Saudi youth today.” She noted that the appeal lies in the meaningful plots and relatable characters. “Each manga has a deep social message that is presented in a light-hearted manner. I feel the audience strongly sympathises with the characters and that is what keeps us hooked on to it,” explained Kamil. As a teenager, Kamil would spend hours perfecting her drawings and creating her own uniquely local characters and stories using the style of anime and manga. It was during those years she understood that she wanted to pursue her passion to become a commercial manga artist. Although her parents protested the idea for years, they finally supported her decision when she received her first payment from a local publishing house for a children’s manga story “The Cat Said” while in university. Kamil went on to become the first Saudi to base her master’s research project on manga, which shed light on manga’s historical developments, drawing techniques, and the best artists around the world. 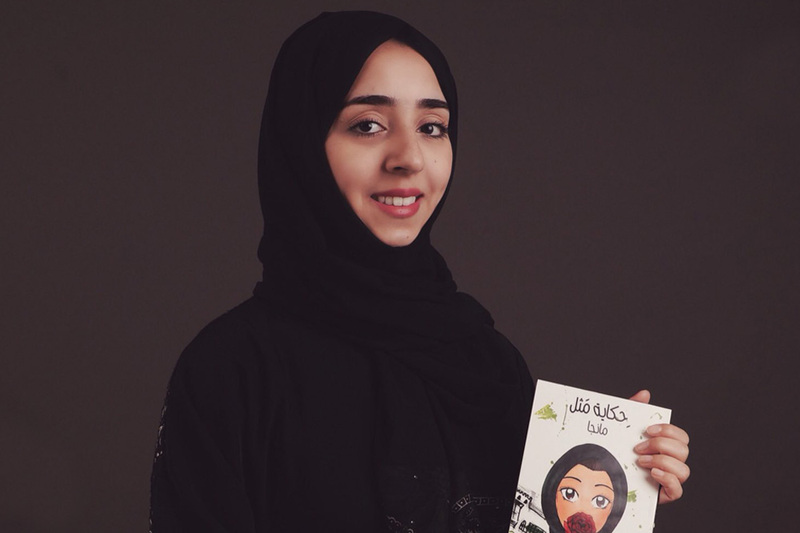 Today, the artist is renowned for her work, having created her own version of manga art by incorporating popular traditional Saudi proverbs and publishing her works in a book titled “Tales of Proverb,” as well as creating coloring books for children, and teaching manga drawing workshops at Comicon 2018, which was held in Jeddah this April.